Abubakar Malami, attorney-general of the federation (AGF), has resorted to delay tactics to frustrate house of representatives’ investigation of the $17 million lawyers’ fee for the recovery of $321 million Abacha loot, TheCable has gathered. Apart from refusing to provide the documents requested by the ad-hoc committee set up by the house, Malami has also decided to use the courts to stall the probe. 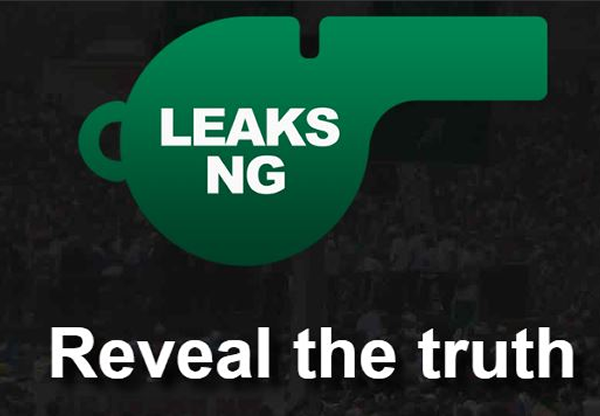 A senior official in the ministry of justice told TheCable at the weekend that the minister plans to file a libel suit against this newspaper as part of his overall strategy. “We will file a suit against you guys, and then inform the house committee that the case is already in court and therefore subjudicel for the committee to continue with its probe,” the official said. Malami adopted a similar tactic in the probe of the recall of Abdulrasheed Maina, the former chairman of the Pensions Task Force. He went to court to stop legislative inquiry into the saga, although the committee still went ahead and indicted him. TheCable had in April reported how Kemi Adeosun, minister of finance, refused to approve the payment of the dubious fee to the lawyers. The lawmakers described Malami’s engagement of the lawyers as “height of injustice” and set up a committee to probe the matter. Enrico Monfrini, the Swiss lawyer hired by the Nigerian government since 1999 for the recovery of the loot, told TheCable that repatriation is dealt between governments and does not entail the engagement of lawyers. But Malami had engaged Oladipo Okpeseyi, a senior advocate, and Temitope Adebayo, two Nigerian lawyers to do a job that had already been completed by Monfrini. “I don’t know why the federal government of Nigeria did decide to appoint other lawyers,” Monfrini, who had recovered the funds from Luxembourg and domiciled them with the attorney-general of Switzerland, told TheCable in an interview. “Of course, the AGF is trying to frustrate the investigation,” a source at the national assembly told TheCable. The committee had reached out to the justice and finance ministries, Central Bank of Nigeria (CBN), accountant general of the federation and the Cable Newspaper Journalism Foundation (CNJF), a partner organisation with TheCable. While the ministry of finance is yet to submit its report as requested by the lawmakers, the report from the ministry of justice and AGF was rejected because it was not signed by Malami. The committee had given the AGF May 30 to make a “proper submission” but TheCable understands the committee is yet to hear from the AGF. “We hope they respond before members come back from break,” the source said. The ministry of justice and the office of the AGF is yet to respond to TheCable’s email asking why the office submitted documents that were not signed by the AGF. Malami did not answer calls placed to his telephone. The AGF did not respond to the freedom of information request, and CNJF had gone to court, seeking an order of mandamus compelling the AGF to make available the information and documents requested from its office pursuant to the freedom of information (FoI) act, 2011. When contacted for reaction, Abdulrazak Namdas, spokesman of the house of representatives, said he would get back to the TheCable.